When you’re pregnant and trying to decide which baby items you actually need, it can be daunting! 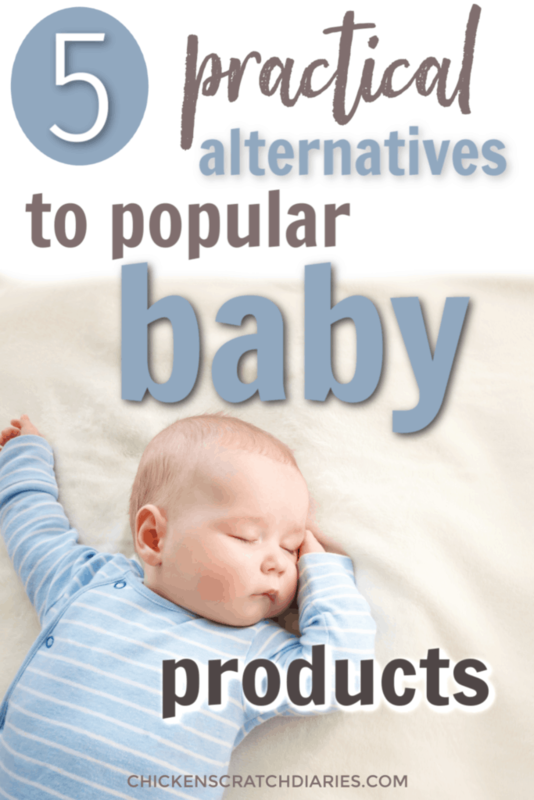 Everyone has an opinion about their “must-have” baby products for your new baby, especially when it comes to the more crunchy (natural, non-toxic) options that are available today. While some baby items are always going to be necessary (hello, diapers and wipes), there are tons of new options that come out every year, making it tempting to go crazy with the baby wish list. Some of the new products I’ve tried are fabulous innovations that truly make mom-life less stressful. And there are other items that I just wouldn’t recommend because they were overpriced or simply not practical. And after four kids, I’m finding that practicality is really important to me. I’m willing to pay a little more for certain products if they are TRULY worthwhile and better for our health – and especially if they save me money in the long run. But I still want to make sure that whatever I buy for my family is useful and that I’m not buying it just to jump on a trendy bandwagon. And trust me, I’ve jumped on plenty! So on that note, understand that I’m not trying to “sell” you on any specific product. My intention here is to share my experiences from a balanced point of view and maybe save you some money as well as hassle. I wrote a previous post on my Top 5 Natural Baby Products for the Natural-Minded Mom– check this out if you’d like to read about some of my favorite “crunchy” baby items that I DO find worthwhile, in general. 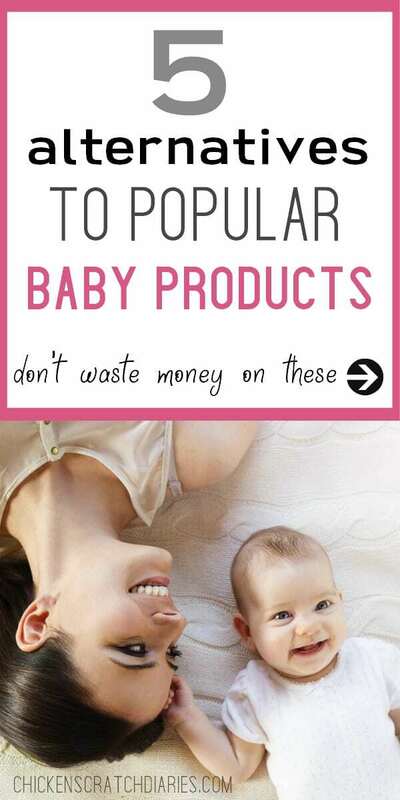 Below is a rundown of some popular baby products especially in the natural / attachment parenting realm, along with my honest opinions and practical alternatives for each. It sounds like the perfect solution for breastfed babies or babies who just won’t sleep alone in their crib (which was all of mine!). With my second daughter, I bought the Arms Reach Cosleeper and had very high hopes for a safe, good night’s rest for everyone. Sadly, it didn’t really work out well for us. It attaches snugly to the side of your bed and while I did feel that the baby was safe in it – it was just awkward. Because I have a nightstand by the head of my bed (and I really need it for my phone/alarm clock, water etc), I had to scoot the cosleeper down to where it was anchored nearly halfway down the length of my bed. So the baby wasn’t exactly at eye level for me to watch her easily. When it was time to breastfeed – which was frequent with my babies at night, I had to wiggle down quite a ways to reach her and it was a little difficult pulling her into my bed from a sitting, diagonal position. Then, there’s the issue with what to do with MY covers. Because the crib was snug against my bed, my bed covers had to be tucked down between the two beds, making me feel a little like a sardine in a can. And of course un-tucking the covers didn’t feel safe either, especially since she wasn’t at eye-level. Another thing to consider with a bedside crib is that many of them require special (pricey) sheets if you want them to fit properly – not standard crib or bassinet sheets – which add to the already steep cost of these contraptions. I also had to add the leg extensions (more $$) to make it the correct height for my bed. In the end, I found that just letting my babies sleep in my bed was the simplest, most practical option for our family. Of course, I would caution anyone to read up on safe cosleeping practices especially if you’re a first-time mom. I don’t believe it’s for everyone. I am a very light sleeper and I don’t move much at all at when I’m asleep, among other reasons that it simply worked out best for us. If cosleeping makes you nervous, you might find a bedside crib worthwhile despite the issues I mentioned above. If you do purchase one, be sure to check out the weight limit information, as many (such as the Arms Reach Bassinet) have a fairly low weight limit or specify that you should stop using it as soon as baby is able to get up on hands & knees, for safety reasons. You just want to make sure that the cost is justified for something you might only be able to use for the first couple of months. Portable infant sleepers that can lay beside you in the bed might be another option to consider. These are much less expensive than a bedside crib and achieve the same purpose. I discovered cloth diapering with my third baby, just as it was gaining popularity again. Modern cloth diapers are definitely MUCH easier than what our grandmas had to deal with years ago, and there are numerous benefits to using them. The main reasons I started cloth diapering was first to save money and second, because I saw it as a healthier option for my rash-prone babies. After learning more about all the chemicals in disposable diapers, I was even more motivated to try an alternative diapering method for my newest squish. As is my tendency, I dove in headfirst to the cloth diapering world. I read everything I could find about the best types of cloth diapers (prefolds versus all-in-ones versus hybrids, etc) and the “best” brands. I joined all the Facebook groups and learned everything I could before baby #3 arrived. We started off with prefolds and covers, the most economical option, which were ridiculously bulky on my newborn. After getting pretty discouraged with folding them and fumbling with Snappi’s in the middle of the night, I switched to pocket diapers and all-in-one versions, which were a lot easier but pricier. And remember that bandwagon thing I mentioned? Well, I got caught up in the “buy all the prints” craze and definitely spent too much money on the stinking cute little diapers. You know, those things you cover up with pants? Uh-huh. I continued to cloth diaper my son all the way until the potty training years. After potty training took much longer than expected, I gave up on cloth diapers and trainers and eventually went to disposable pull-ups. Sinced I had de-toxed from the “high” of over-buying and wanting cute prints after baby #3, I decided I would find some inexpensive pockets and all-in-ones with baby #4 to make things easier and actually save money this time. I vowed to buy a small stash and not shop for any more cloth diapers after the baby got here. But alas, baby #4 arrived, and real life happened. Doesn’t it always? In addition to having another job, this blogging business and again, four kids, I was just tired. Cloth diapers, for me, required more frequent changes to keep them from leaking. And friends, no matter what your cloth-obsessed friends tell you, they do take WORK to maintain. You have to wash them at least every few days – at least 2 wash cycles for each load (which ties up the washing machine), spray them once you start introducing solid foods (ick), and it’s simply a lot more steps than with using disposables. So, even considering the reduced long-term cost of cloth diapers compared to disposable, in the end it wasn’t a sustainable idea for our family. At this time, we’re using mostly Honest brand disposable diapers and I do fill in the gaps between subscriptions with Huggies diapers which is the only non-“green” brand that doesn’t cause my daughter to break out in a rash. I’ve had to accept that the most practical option for our family in this current stage of life is to use disposables. There is still a lot of debate about the potential harm of chemicals in disposable diapers as well as whether you really save money considering the extra laundry required. It all honestly depends on what source you choose to read. If you don’t want to mess with an Honest diapers and wipes subscription (although it is usually the best price for this brand), you can look for deals at Target. If you click through Be Frugal’s website before purchasing at Target online and use your RedCard, you could earn 5% off your purchase plus 3% cash back from Be Frugal (at current time of posting). Those savings can really add up over time. I’ve kept part of my cloth diaper stash in case I run out of disposables and they still come in handy from time to time. Babywearing is another trend that’s actually as old as dirt, but has been more commonly practiced in recent years (than in decades prior, that is). With baby #3 I was working at home most of the time and decided to give babywearing a try once again. I bought a Moby wrap and a soft-structured carrier and these worked much better than the previous versions I had tried. The Moby wrap was particularly comfortable in the newborn stage, although my huge, chunky baby boy quickly outgrew it. I also found the Moby wasn’t all that convenient to use at the grocery store with all the wrapping & tying involved. It never failed that my baby would start wailing halfway through my grocery trip and then I’d have 3 yards of fabric to deal with AND a fussy baby to carry while pushing a cart! With my last baby, working at home once again and also having a preschooler to entertain during the day, babywearing was even more appealing. So I did more research this time. And like cloth diapering, I went a bit overboard trying out all the different kinds. I fell in love with the woven buckle carriers and found them to be the easiest to use and most comfortable for me. I used my carriers quite a bit the first eight months or so, but once my daughter started getting more mobile, she really preferred to get down and play rather than be carried. This one is difficult because I have an emotional attachment to my silly carriers that I used to hold my baby close especially in those early months. If I had to do it over again, I’d probably still buy a good buckle carrier, but try out some less expensive brands. I truly love my Lenny Lamb carrier that I still own, but honestly? I probably don’t use it often enough to justify the price. Although the more expensive baby carrier brands are touted as more ergonomic/ safer / better, I’ve had plenty of friends who have safely and comfortably worn their babies in much more affordable carriers! I’ve read some great reviews of the newer Infantino carriers which cost about 1/4 of the Lenny Lamb price tag. If you have a “lending library” nearby where you can try out different carriers, this is a great option to make sure you pick a carrier that works for you and your body type. I see these EVERYWHERE I go. This was another new item when my #3 baby came along, who happened to be one of those babies who had a terrible time cutting teeth- and always three at a time. So you can imagine that when I started researching teething remedies, these new necklaces piqued my interest. I bought one from what was considered a reputable source and tried it out for approximately one month. However, I was concerned about putting a necklace on my baby. It seemed obvious that it could be a potential danger if he were to pull on it or get caught on something while crawling around. And, the instructions stated to take it off at nighttime as a safety precaution, which is precisely the time of day he was in the most pain from teething! But I tried it out anyhow, as I was desperate to find relief that didn’t involve drugging him with ibuprofen 24/7. Plus, everyone I knew had one and hailed its magical properties, so it must be ok, right? I saw no noticeable difference in using the amber necklace on my son. And for the $22 price tag, I definitely expected more. After reading more about baltic amber, I am unconvinced that it has any ability to ease pain in a teething baby. Critics argue that the necklace simply laying against a person’s skin isn’t enough for it to absorb into the bloodstream; the amber would need to be heated to a much higher temperature than normal skin temp in order for the succinic acid to be released. Either way, there isn’t enough evidence to convince me to use another necklace on my baby, especially in light of the risk of choking or strangulation. One remedy that I did find that helped was making chamomile tea popsicles for my baby. Just make a enough tea to fill a reusable popsicle mold, freeze and let baby gnaw on it in his highchair. Chamomile has been proven to ease pain and inflammation and it may also help your baby sleep! I drink it in the evenings and it’s very relaxing. 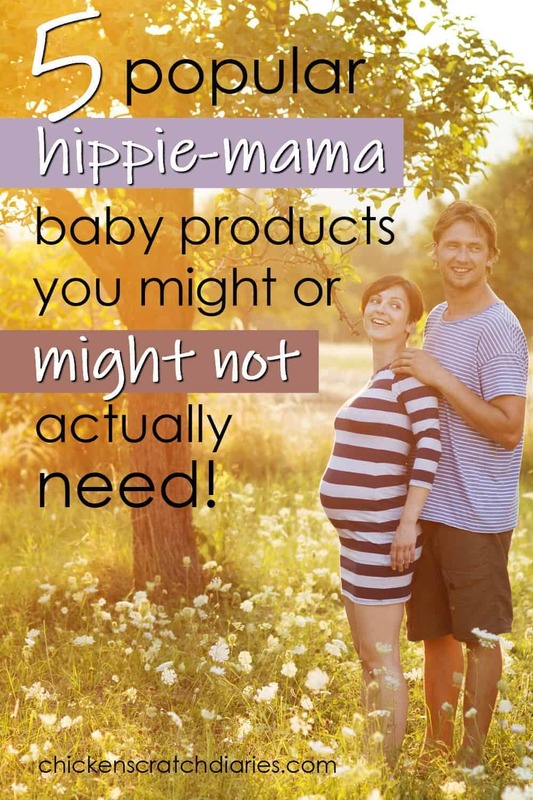 This is more of a “mom product” than baby product I guess – but of course it benefits both! I had like, NO knowledge of nursing-friendly clothing when I had my first baby. I remember being so stressed around the holidays and family gatherings when my baby would get hungry because I’d have to disappear for an hour and nurse the baby in a back room. I tried out the cape-style nursing covers but also wasn’t pleased with the coverage or convenience. I’m pretty modest, and while everyone has their opinions about breastfeeding in public, it’s my personal preference to be covered up! Flash forward to baby #3 when I purchased several nursing tops with the stretchy neckline. The only problem was that the elastic seemed to stretch out pretty quickly and those became relegated to sleep-shirts only after a month or so. I tried several other tops that were made specifically for nursing, and I suppose I’m either overly-picky or just small-framed – but most of the styles (crossover, for example) just didn’t fit me properly. I felt like one wrong move and everything was going to be on display. What worked the best for me was a solution I didn’t think about until our fourth baby came along. It was the two-shirt method: a cami underneath and a looser fitting shirt on top. You just lift the outer shirt, pull down the neckline of the cami underneath and throw a breathable muslin blanket over your shoulder / baby’s head for a little extra coverage. What I DID find to be worthwhile in nursing clothing – each time – was a few inexpensive, good-fitting nursing bras (these are my favorite brand from Target). It can be tempting to go overboard – in spending, in discovering your parenting style, in everything when you’re motivated to provide the best for your baby. But I truly believe that there’s no such thing as a perfect method, just like there’s no perfect parent. You can only control so many things in your baby’s environment. The small steps you take to live more naturally are still important! But take it from me: breathe a little, don’t worry so much about every single purchase and decision you make (or don’t make) and what impact it might have later on. Your baby has YOU, and that’s what he needs most of all!